Buehler, S. A., J. Mendrok, P. Eriksson, A. Perrin, R. Larsson, and O. Lemke (2018), ARTS, the atmospheric radiative transfer simulator — version 2.2, the planetary toolbox edition, Geosci. Model Dev., 11(4), 1537–1556, doi:10.5194/gmd-11-1537-2018 (pdf). This version offers a new planetary toolbox that allows simulations for the planets Venus, Mars and Jupiter, in addition to Earth. Further new features are radio link budgets, back-scattering radar simulations, and the treatment of Faraday rotation and Zeeman splitting. You can find all articles about ARTS on the documentation page. To celebrate that the Odin satellite today has been in space for 17 years, we announce that version 1.0 of the ARTS scattering database has been released. See the Tools page for details. A new beta version of the ARTS microwave single scattering properties database is now available. Changes include fixes and improvements in documentation, post DDA processing, and interface. In specific, we have added an ATBD document, providing more detailed database documentation. Also, thanks to feedback given, we have improved upon the conversion of DDA to database stored scattering quantities. For example, this has an improved effect when deriving triple frequency signatures. Furthermore, we have prepared a set of ARTS-ready and easy to use scattering data in the ARTS xml-format. A total of 16 so called standard habits are provided here. As before, the database is still in beta, meaning that the database is not fully completed and issues are likely still present. We would be very happy to receive any feedback on issues and bugs encountered. A beta version of a new single scattering database of mainly ice particles that has been calculated using the discrete dipole approximation method (DDA) is now available for download. We are pleased to announce a new workshop in the series of "ARTS workshops". You don't need to be an ARTS user or developer to participate, the workshop is open for all with an interest in atmospheric radiative transfer. There is normally a strong focus on microwave to infrared radiative transfer, but also other wavelength regions are of interest. The place is the same as last time, Kristineberg (about 100 km north of Gothenburg). Time for the actual workshop: September 6-8 (Wednesday morning to Friday lunch). We will arrange transport between Gothenburg and Kristineberg, and it will departure from Gothenburg around 15.00 September 5. That is you need to arrive to Gothenburg not too late Sep 5, and should have possibility to travel back Sep 8.
but the workshop is not restricted to these topics. If you are interested in participating, then please fill in the pre-registration form in order to allow us plan the program. The deadline for pre-registration is March 31. Since the available space at Kristineberg is limited, we have to limit the meeting to roughly 25 persons. If more persons are interested, it will be first come first served. Kristineberg is a marine research station. The station offers full board and lodging, but the number of rooms is limited and most workshop participants will need to share double rooms. At the moment there are only three single rooms at hand. If you require a single room indicate this under Comments. Transport to/from Gothenburg is arranged at start/end of workshop. You only pay for room and food at Kristineberg. We can not yet give you en exact price, but it should be in the order of 250 euro. Several optimizations have be applied to DOIT, one of ARTS' scattering solvers. This includes an improved conversion algorithm and an optimized pressure grid. More enhancements are still being worked on. Integration of the RT4 polarized model for horizontally oriented particles by Frank Evans into ARTS as an additional scattering solver. Integration of the NWP SAF sea surface model FASTEM into ARTS. ARTS' internal catalog format (ARTSCAT-5) has been improved and now supports storage of various pressure broadening schemes, various line mixing schemes and quantum numbers. Overhaul of the Disort integration. Once the dust settles and the new features are polished, we hope to release a new stable ARTS version in the near future. New version of typhon released. Since its birth last year, features such as full ARTS XML reading/writing support, a decent selection of proper colormaps and a custom mpl style for good looking default plots have found their way into typhon. Check out the documentation for more features. The Hudson automated build service for ARTS has been migrated to the server in Hamburg. The new location is: https://arts.mi.uni-hamburg.de/hudson/. Due to its current unmaintained and largely broken state, we decided that we can't support PyARTS anymore. Download links for PyARTS have been removed. We hope to start a new, better Python package in the near future. We're pleased to announce the release of ARTS version 2.2. For a detailed list of changes, have a look at the CHANGES-2.2 file in the ARTS distribution. Alongside with ARTS, new 2.2 versions of atmlab, arts-xml-data and PyARTS are available as well. Download instructions can be found on the Getting ARTS and Related tools pages. This means that the 2.0 versions are no longer maintained. After a long pause, we will this year again have an international ARTS community workshop in Kristineberg, Sweden, June 9 to 11, 2014. The workshop is fully booked, but please contact the developers if you want to be put on the waiting list in case somebody hops off. 2.0 version available in branch. We would like announce that the development of ARTS in the Subversion trunk is moving on to version 2.1. If you like to stick with the latest stable version, we recommend that you switch to the new 2.0 branch. Head over to the 'Getting ARTS' page to learn how to checkout the latest stable version. The version numbers of related tools like atmlab and PyARTS have been increased to 2.0 to reflect compatibility with the corresponding ARTS version. Download information is available on the 'Related Tools' page. Non-subversion users can find all stable packages at /arts/misc/download/stable/2.0/. We're pleased to announce the release of ARTS version 2.0! In comparison to version 1 (by us now denoted as ARTS-1), this ARTS version is a much more sophisticated software (summary below). Most of these features have been in place since years. More lately, we have spent time on the documentation and this is the reason to why we now declare that ARTS has reached version 2 status. The model atmosphere can be 1D, 2D or 3D. Spherical geoid and surface are throughout default. For 2D and 3D more complex topography are also possible. Radiative transfer can be made for 1–4 Stokes elements. Polarisation effects can thus be fully described. Basically no restriction in complexity of surface reflection (but is currently handled only in a simplistic manner). For particle single scattering properties, not only the standard assumption of spherical or completely randomly oriented particles, but also the case of horizontally aligned particles is handled. Two modules for solving radiative transfer with particle scattering: MC and DOIT. Both modules lack intrinsic approximations, and have been verified by practical retrievals. Sensor responses can be incorporated in an efficient manner. Concept of agendas and include files for more flexibility in control files. Presentations and pictures from the Open ARTS Community Workshop 2010 are now available on the workshop website. Thanks to all participants for their contributions. Today we released Atmlab version 1.0.0, a collection of Matlab functions for interaction with the latest ARTS. The download is available on the ARTS Tools page. For ARTS 1.0 users, a new Qpack maintenance release is available on the same page. 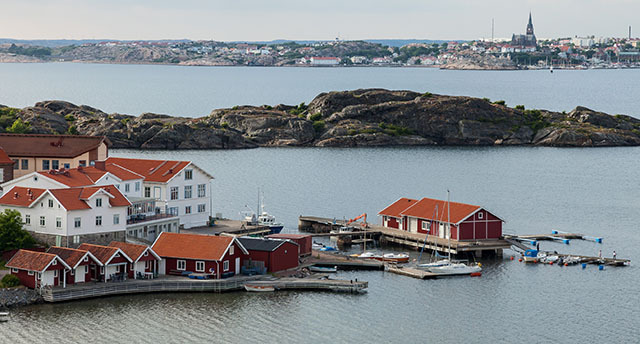 The Open ARTS Community Workshop will be held in Kristineberg, Sweden from June 7 to 10, 2010. For details, see the workshop homepage. ARTS has now an automated build system which provides up-to-the-minute builds as well as an archive of previous versions. The build is automatically performed on different architectures (Linux, Mac) and with different compiler versions (GCC 4.2, 4.4). This should help us to spot compatibility problems more easily. A detailed list of changes can be found in the ChangeLog file. An updated windows executable of the latest development version of arts (1.3.35) is now available on the downloads page. The package also contains an example controlfile. Just download the zip file, follow the steps in the README.txt, and you're good to go. AMI: Fixes for obsolete matlab functions. (P. Eriksson). The ARTS repository has been moved from Bremen to our new server in Kiruna. At the same time we have switched from CVS to Subversion as a version control system. Updated information how to get the ARTS source code is available at the download page. The page also contains information for developers on how the procedure to commit changes has changed with Subversion. The seventh Bredbeck radiative transfer workshop will take place on June 20-23, 2005. Anybody involved in the field of radiative transfer modeling or data retrieval is invited to join the workshop. Online registration is now possible on the workshop homepage. Bredbeck Workshop 2004: From June 21 to 24, our annual Radiative Transfer Workshop takes place at Haus Bredbeck. Online registration is possible on the workshop homepage. Bredbeck Workshop 2003: From July 7. to 10., our annual Radiative Transfer Workshop takes place at Haus Bredbeck. A registration form could be found on the workshop homepage. Look at the ChangeLog for details. Download is available here. Have a look at the ARTS anonymous CVS access section to learn how to the get the latest ARTS version directly from CVS. ARTS LXR interface available. It provides a cross-referenced version of the arts-1.0.x and current development code tree with search capabilities. ARTS release 1.0.38. Several bug fixes. Look at the ChangeLog for details. ARTS release 1.0.31. Fixed compilation on SunOS and HP-UX with gcc 3.x. 2002-06-04 New releases arts 1.0.28 and Qpack 1.0.14. Fixed some bugs in the physics as well as in the build system. For details have a look at the ChangeLog distributed with ARTS. Look at the compatibility section to see on which platforms ARTS has been reported to work. Compilation without HDF did not work properly. Get the latest version from the download page. Finally, after two years of development and sedulous comparisons with other transfer models, we decided to make the first stable release of ARTS available for the public. Have a look at the download page or follow this link to download the package directly. To find out more about ARTS you could download the user guide in ps or pdf format or write a mail to one of the addresses mentioned on the support page at the bottom of this page. It would also be nice if you could send us some feedback about your experiences with installing and using ARTS to give us the possibility to extend our program to match the needs of its users.